Informal guided tours of Fishermen’s Workshops and the restoration of wooden historic vessels. 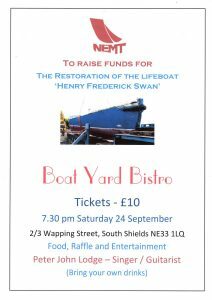 A great opportunity to see maritime heritage items on display. By Ferry from North Shields, Turn left at the main road after leaving the ferry landing. Pass the Alum House pub on your left. Take a left at the next roundabout and cut through the housing, keeping the river on your left. In a couple of minutes you will reach “Comical Corner” (by the Sea Cadet Headquarters) and we are 50yards on the left. 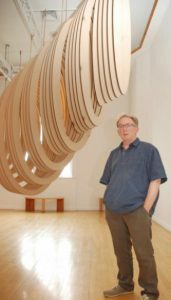 An exhibition inspired by the region’s shipbuilding heritage has gone on display at a South Tyneside gallery. A display of drawings, sculpture and video about the traditions of boat design and building has opened at the Customs House. 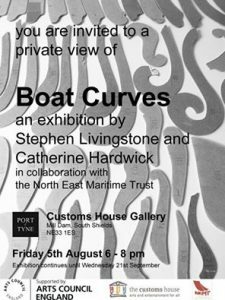 North East artist Stephen Livingstone has joined with film-maker Cat Hardwick for the Boat Curves exhibition, which is at the venue’s Port of Tyne Gallery until September 22. 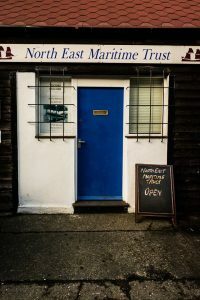 Stephen worked with traditional wooden boat builders from the South Shields-based North East Maritime Trust to create a striking hull template, a huge three-dimensional template for an ocean-going vessel which forms the heart of the exhibition, at the town’s Mill Dam venue. Not private – until 21st Sept 2016. 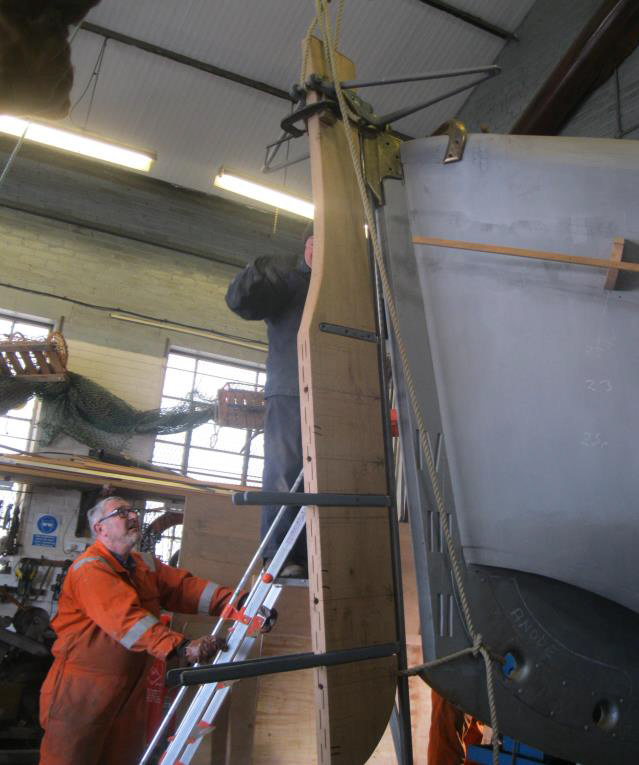 We now have a covered slipway and can repair boats up to 12 tonnes. 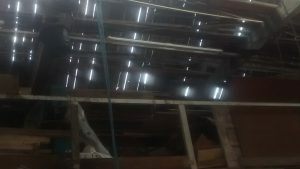 The shed needs some attention and we need to raise £28,000 to re-roof it. 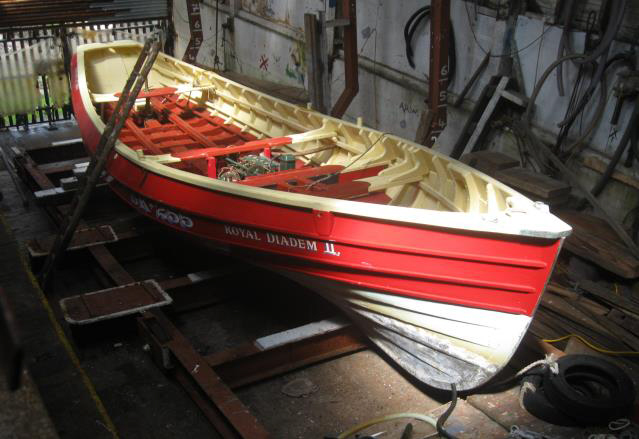 It is quite fitting to have the Royal Diadem II (the first boat we restored) to be the first boat in our new facility, which was previously Fred Crowell’s boat yard. 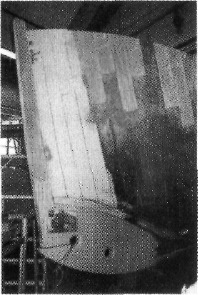 Restoration of the foy boat is nearing completion. 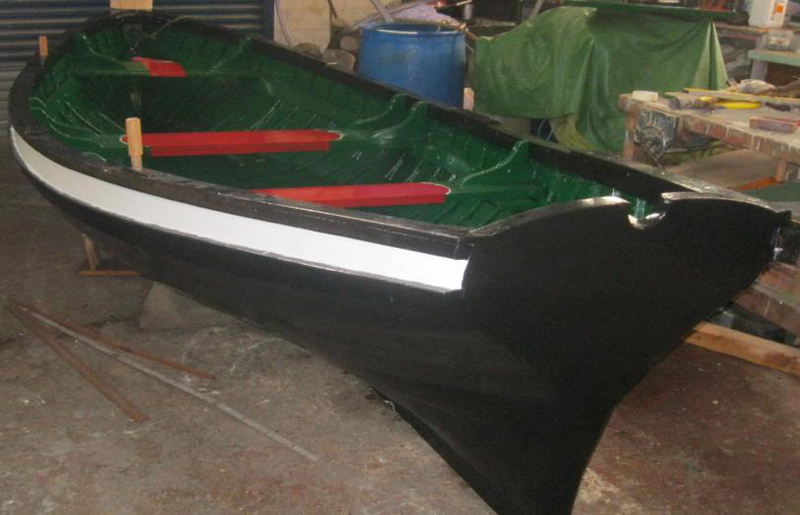 After having knees, thwarts and seating made and fitted she is now getting a full paint job. An exhibition tracking the 150-year history of a life-saving group will be unveiled this weekend. 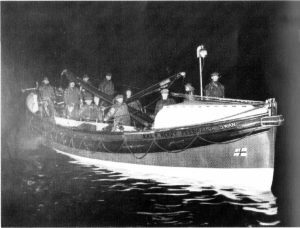 Always Ready, an exhibition marking the anniversary of the South Shields Volunteer Life Brigade (SSVLB), goes on display on Saturday at South Shields Museum & Art Gallery, in Ocean Road, where it will remain until September 17. 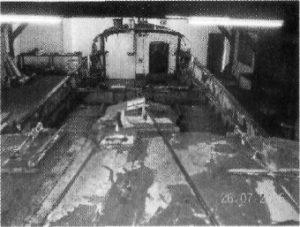 The brigade was formed in 1866, following a wreck that took 32 lives on the treacherous Black Middens. Good article about the Sovereign and the Shemaron is interesting as well.